I'm happy to tell you I finished the quilt I last showed you in my a bit of vintage quilt post. This quilt is the first bed size quilt I've made since I took my beginning quilting class last October, and is a gift for my granddaughter Emma's 13th birthday. 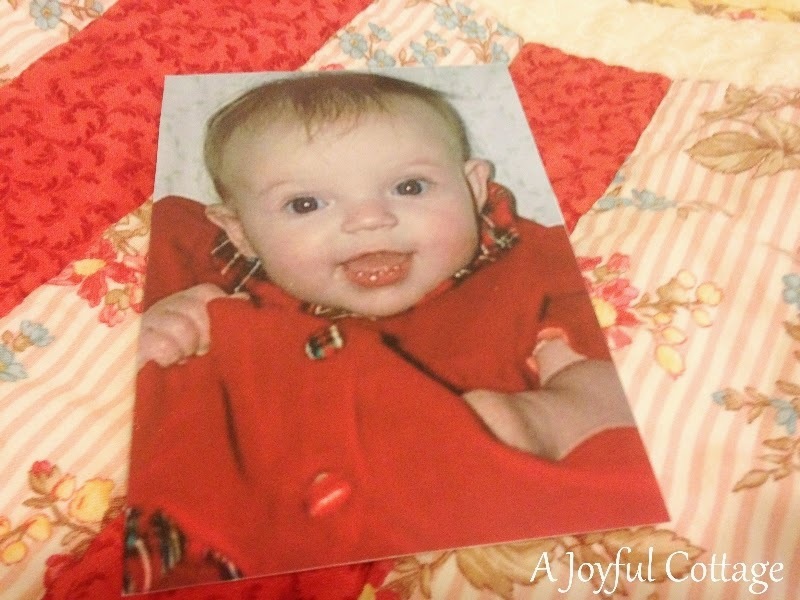 Memories flooded my mind as I worked on Emma's quilt. My late husband and I traveled across the country to meet Emma and help her mommy and daddy take her home from the hospital. Oh, the joy Jim and I felt gazing at our first grandchild. She was a beautiful baby, and had her Papa Jim wrapped around her sweet baby finger from the moment he laid eyes on her. We finally got our girl -- a happy, funny, bright little "Sweetpea". Three years later she welcomed her baby brother into the family and took on her role as big sister with pride. When Emma was nine Oliver cut his finger and she nursed him back to health with ointment and a bandage. He didn't want to relinquish his finger to her, but she patiently, gently admonished him, "Now, Ollie, if you want your finger to get better you need to let me do this." I smile just thinking about it. We were so proud of her when she started school. She's always been a good student. She plays clarinet in band, and in sixth grade was hand picked to play in a special jazz group. 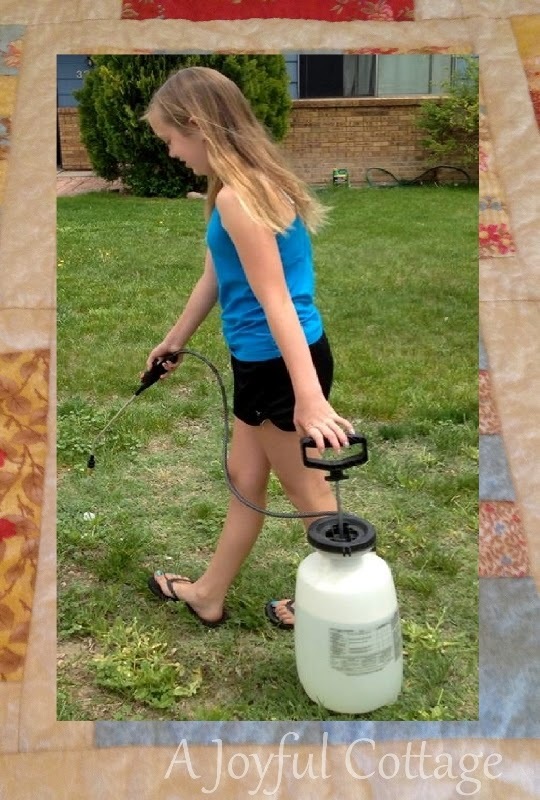 Emma's a girly girl who likes to polish her toenails, yet she's not afraid to get her hands dirty and help around the house. She likes the color blue, so I'm glad her quilt has some blue in it. To finish Emma's quilt I did a stitch in the ditch around the quilt blocks. With each block I said a prayer for her. I prayed that God will guide her through the rocky teen years and that she will cross over from girl to young woman with grace and poise. With every free motion machine stippling stitch I sewed on the borders I asked God to keep her safe and fill her with the knowledge of His love. And I prayed that she will follow Him with all her heart. Emma's quilt will be packed up and shipped tomorrow. I hope it arrives in time for her birthday, and that she'll enjoy it as much as I enjoyed making it for her. Oh my, this brought me to tears. So lovely, touching and tender . . .
With my love . . .
That is a beautiful quilt. I love the idea of a prayer for each block. It will wrap her in love. I like that pattern I have done that one several times because it goes together quickly and looks so good. Beautiful post about your granddaughter. I am sure the quilt will be passed down many generations to come. How beautiful! I have a granddaughter the same age and they sure are precious and a blessing. Enjoy your week! Hugs! 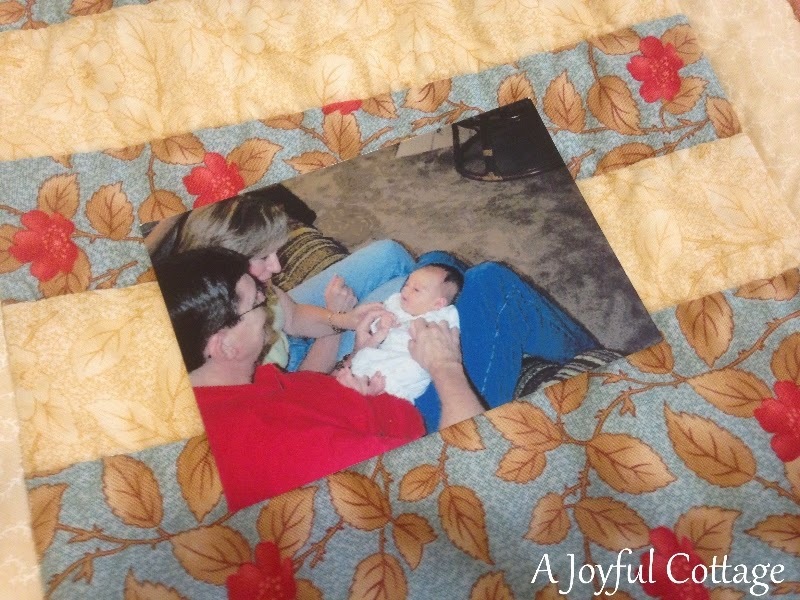 What a great quilt and so much love in it for your sweet granddaughter. She will cherish this forever. Nancy, I am so impressed with your talent. 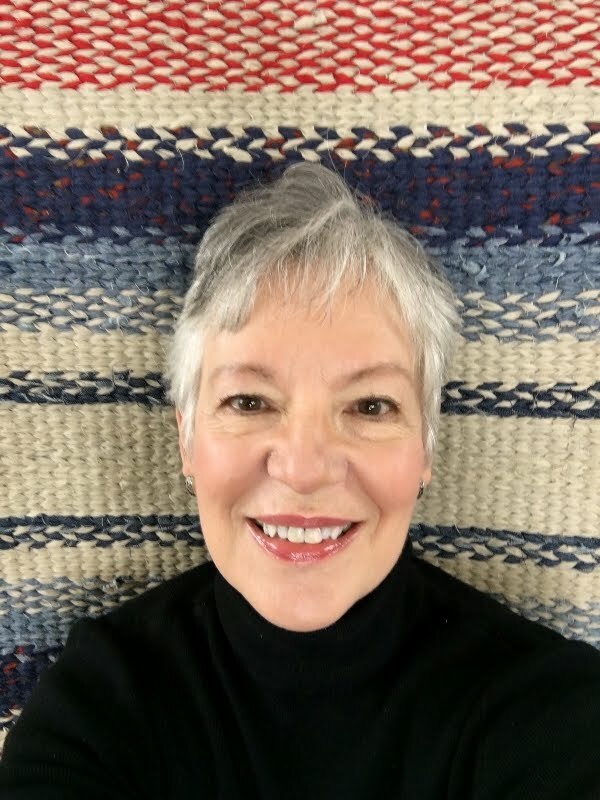 I remember your posts about your quilting class and how much you enjoyed it. Your gift is so beautiful...both in craft and sentiment. I am sure that your granddaughter will love and cherish it. It is so pretty and I know she will treasure it. They grow up so quickly don't they. Our oldest granddaughter just turned 14 this year and she is also a girly girl. Yes, I can't believe how quickly the years have passed. It seems just yesterday we were playing "restaurant" with our little girl. Thanks for visiting, Betty. Enjoy your week. The quilt is absolutely lovely and I'm sure Emma will treasure it all her life. Happy birthday to her! 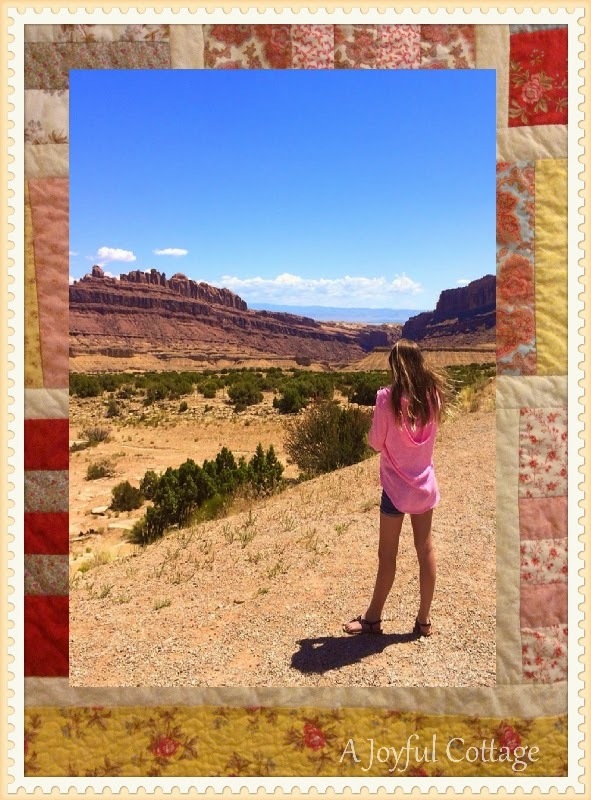 A beautiful post, a beautiful quilt, a beautiful girl. I like the quilt so much, I pinned it. I want to remember the pattern and colors. If you'd rather I remove it, please contact me. 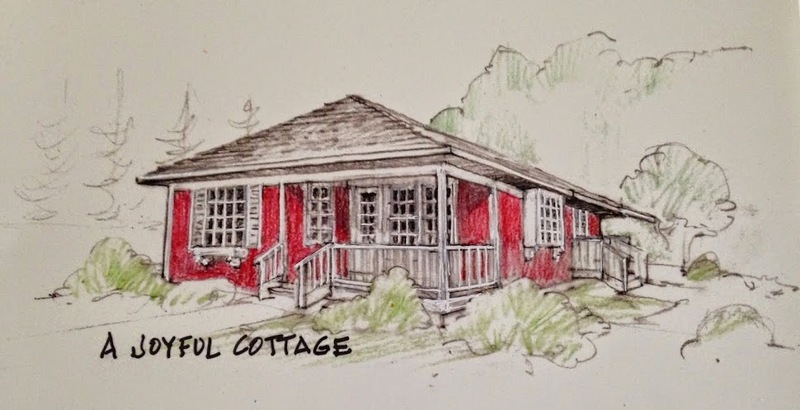 Nancy, I stumbled upon your blog while "cottage" searching on Pinterest. what a nice surprise! The quilt is beautiful, and coincidentally, I am making this same pattern, Piece of Cake 3 right now. LOL. I am using Camille's (Thimble Blossoms) April Showers layer cake and loving every minute of it! 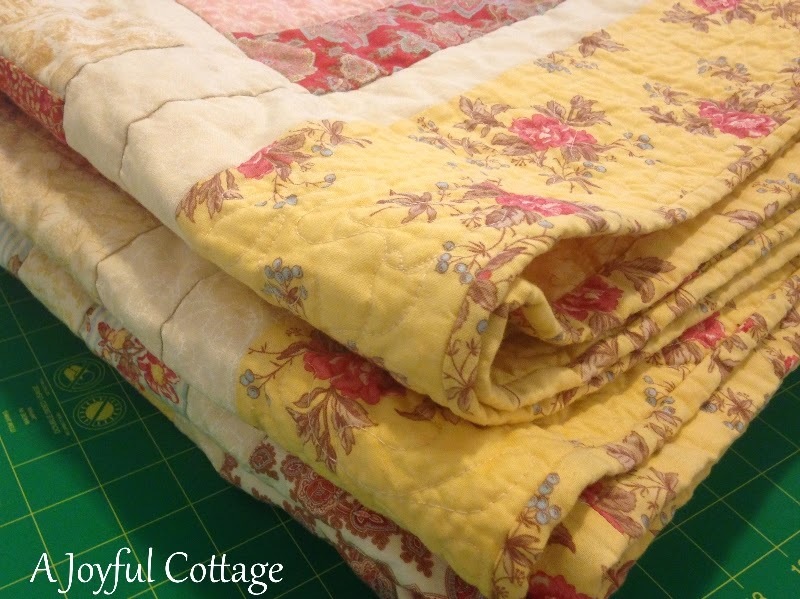 I am re-decorating a home we just bought with a cottage look and this quilt will be in it. I subscribed to your blog and look forward to enjoying what you share. Thank you so much. Oh how beautiful post. I love the story and the photos! What a beautiful way to showcase it. The last photo is breathtaking. I love the prayers that you prayed for her as you worked on this masterpiece. It is a beautiful quilt. Thank you for sharing it and your heart with us today. I really enjoyed visiting you. I am following you now. You did such a wonderful job on the quilt for Emma, Nancy. It's just beautiful!! I love that you prayed as you sewed. What a special gift, with so much of your heart put into each phase of the quilt. You are a virtuous woman, Nancy. Prov.31:10-31. HI again. And thank you so much for coming by. Your words were a sweet blessing to me. I wondered if anyone would 'get' what I was trying to say. You blessed me so. Thank you for letting me know it made sense! I just pray that some one is encouraged. Bless you, Sherry. You made perfect sense. What a sweet quilt for a darling girl! Thank you so much for your kind words, Esther. A lovely present of a quilt filled with memories, too. 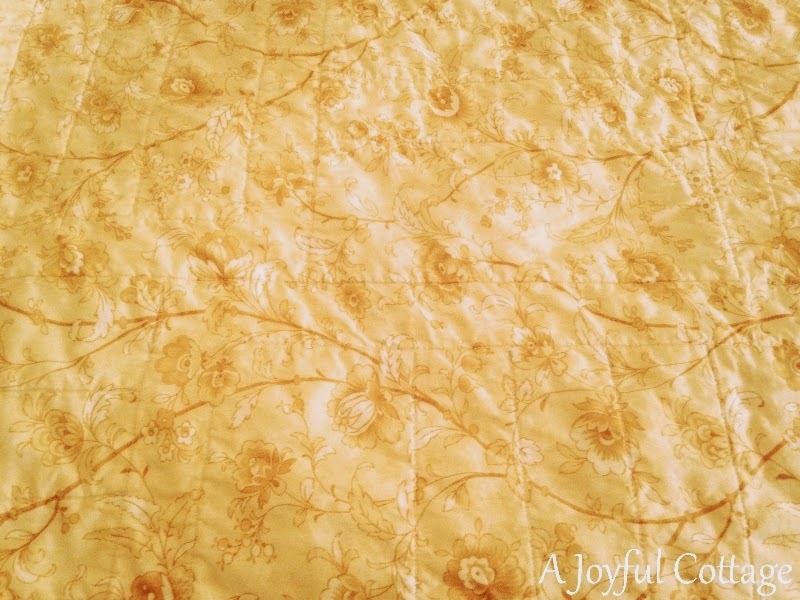 I really enjoyed making this quilt Jacqui. Thanks for visiting, and for your sweet words. 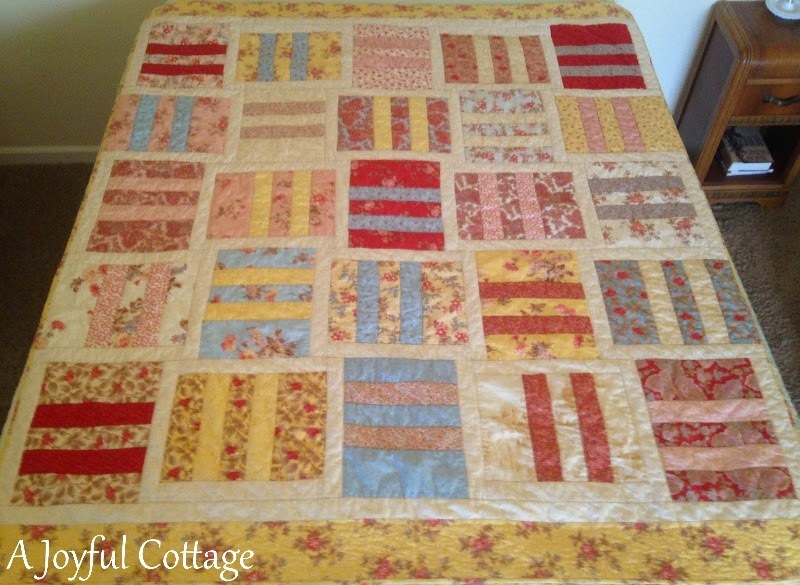 A delightful quilt, I love the border fabric that just sets it off so well. And she's a fortunate granddaughter to have such a loving, caring grandmother to make something significant and pray continually for her. Thanks for sharing it with us. Stitched with love and many prayers, this quilt will be treasured for years to come. Such a beautiful gift. Great job, Nancy! And happy birthday to Emma! Oh it came out beautifully! And happy birthday to your granddaughter! 13 is a special birthday, that first "teen" birthday. All the best to Emma and to many more happy years to come! 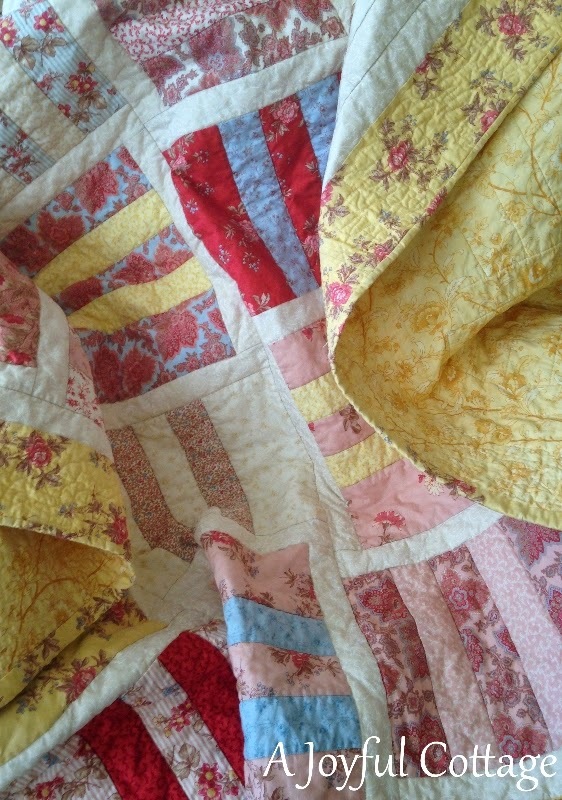 Nancy, what a stunning quilt and sweet, sweet post. 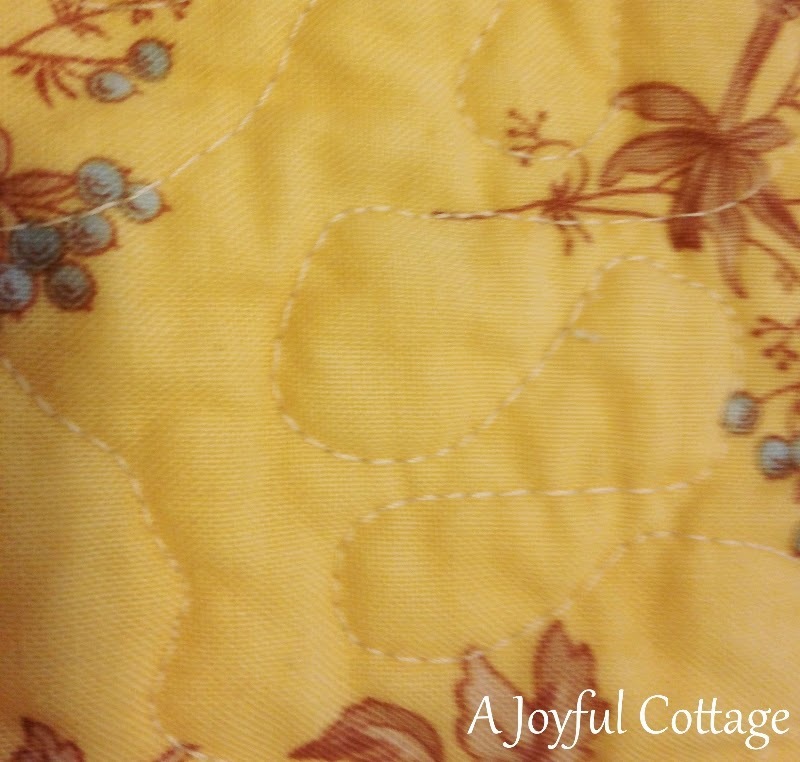 I love how you prayed for Emily as you sewed the various parts of the quilt. 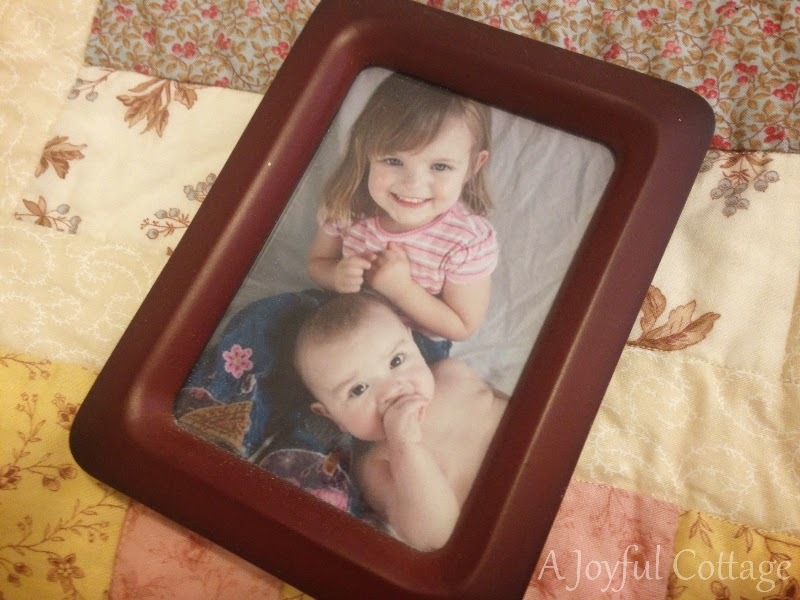 She is a blessed girl to have a Nana like you :) Love the photo "mounted" on the quilt background. What a touching post. We know the prayers of the Godly availith much. Blessing to you and your family. Lovely and very touching post! I wish I had a grandmother like yours. You're very kind, Oliva. Thank you. 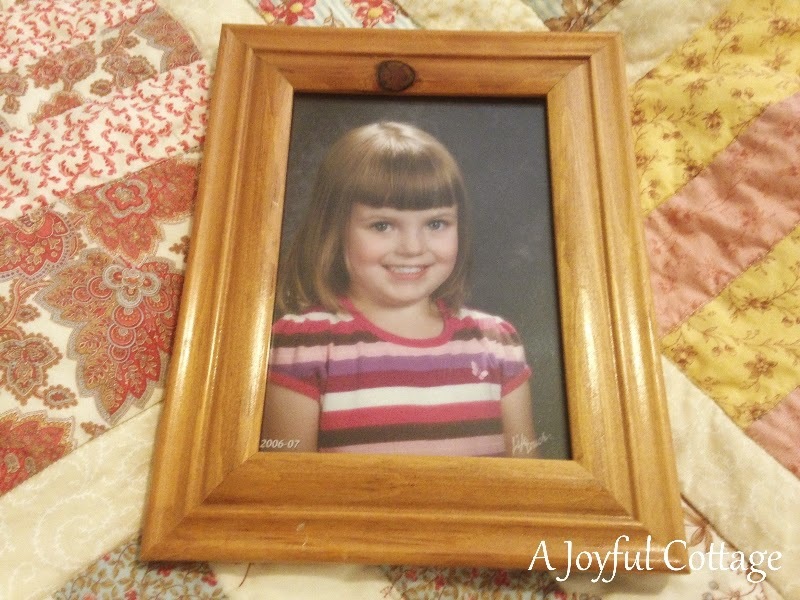 What a lovely quilt you created and what a treasure for your granddaughter. Nancy, it is beautiful, as is your granddaughter. They are such a joy, aren't they! Thank you very much, Rose. I do find great joy in being a grandmother. Hugs. 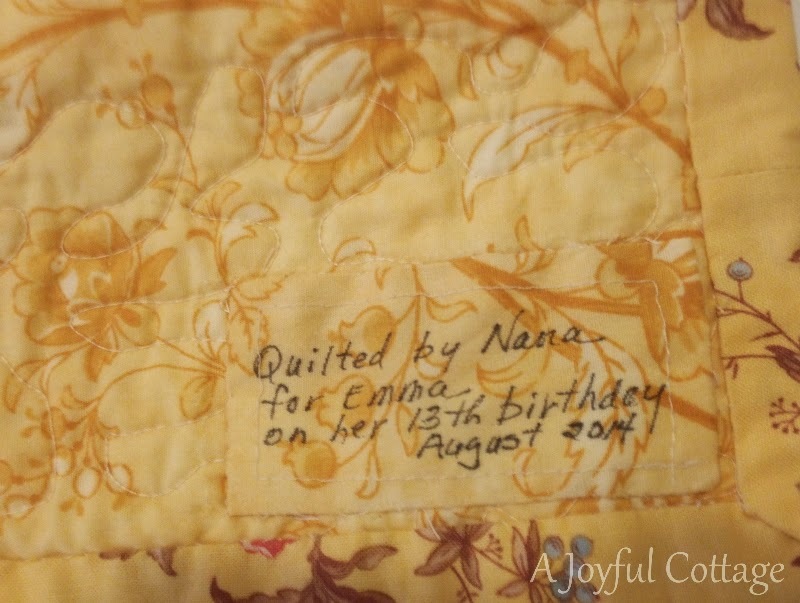 Emma sounds like a doll Nancy, and I love her quilt! She surely will too. I am continually praying and asking the Lord for the same blessings for my 9 grands. Thanks for sharing with SYC. This quilt will be something that she will always treasure! I have made some for some of my grands, but still trying to make sure all of them get one. Thanks so much, Kathy. You've brightened my day.